Small animals do small poos. They also need smaller space, smaller food and smaller birthday gifts (and not the expensive kind). So if you’re looking for something for your little companions pop into City Farmers and consider our big selection of small things. 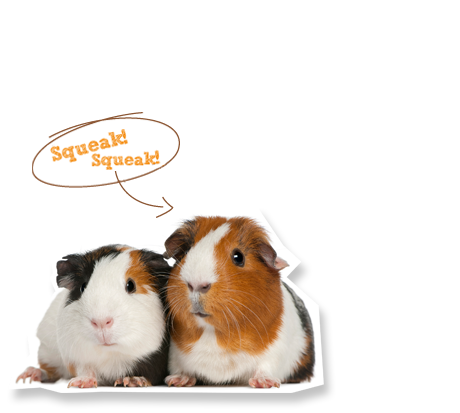 Whether you’re into rats, mice, ferrets, rabbits or guinea pigs we can help you out. We’ve got a great range of hutches and cages, bedding, food and accessories. We’ve also got toys, treats and chews that are perfect for gnawing on and will keep your pint-sized pets happy and healthy. So if you need supplies for your small animal (or just some friendly advice), scamper in store and we’ll be happy to help. If you want to take a gander at all the brands we carry for your little nippers and furballs, scoot over here. They’re a little shy but, once you get to know them, hermit crabs make wonderful pets. They’re pretty easy to care for and make excellent dinner party conversation. We’ve also got a great range of products that’ll keep these crawling critters happy and healthy. Find the perfect hermie home (aka crabitat), plus all the food and accessories you’ll need. We’ve got more shells than you can poke a claw at; big ones, small ones, pink ones, blue ones and even patterned ones, so you’ll be ready when your hermie decides to move house.